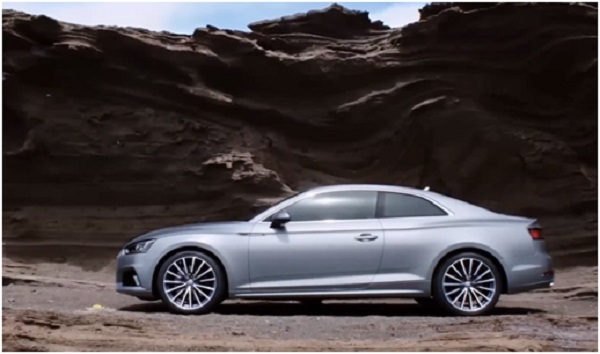 New Audi A5 Coupe 2016-2017 year. The second generation of the Audi A5 coupe is a close relative of the model Audi A4 (B9), starting with a common platform and engine, advanced LED optics and ending with a similar interior design with super modern equipment. That’s only in contrast to the sedan and station wagon Audi A4 New Audi A5 dvuhdverka looks more sporty appearance, stylish and charismatic. Particularly impressive is the profile of a body of new items with elegant and clean lines, harmonious and perfectly proportioned classic coupe. The representative of Audi AG is proud to inform that the body of a new generation coupe has the best aerodynamics in the classroom, according to the manufacturer’s drag coefficient of aerodynamic resistance of the second-generation Audi A5 Coupe body is only 0.25 Cx, while its main competitors Mercedes-Benz C-Class Coupe — Cx 0.26 and coupe BMW 4-Series — 0,28 Cx. 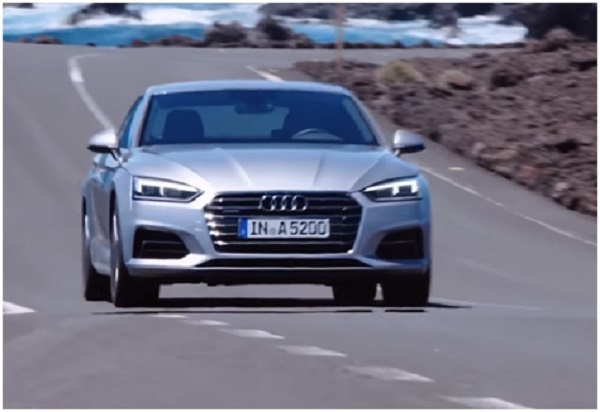 External dimensions Body Audi A5 Coupe (Audi S5 Coupe) 2016-2017, amount to 4673 mm (4692 mm) in length, 1846 mm in width, and with the external rear-view mirrors of the body reaches a width of 2029 mm, 1371 mm (1386 mm) in height from 2764 mm (2765 mm) wheelbase. Front track — 1587 mm, rear track — 1568 mm. The characteristic features of the appearance of the new version of the A5 is entirely LED headlights and taillights, if you wish, you can even order the headlights Matrix LED, as older models Audi A6, Audi A7 and Audi A8. By default, however, set the usual Xenon headlights. interior decoration two-door coupe Audi A5 Coupe (Audi S5 Coupe) will not be a revelation for fans of the German brand, because in a similar style with the same set of interior Audi A4 modern equipment. Available 12.3-inch digital dashboard, multimedia system Audi MMI with a color screen 7 inch or 8.3-inch (Bluetooth, USB, Apple Car Play, Android Auto, navigation), the ability to connect your smartphone to an external antenna, a platform for inductive charging gadgets, audio system Bang & Olufsen, premium materials and finishes (leather, inlays in wood, aluminum and even carbon fiber), LED background interior lighting (most with 30 shades), sports seats for driver and front passenger with adjustment electric, heated , ventilation and massage, perfectly profiled back row for two passengers, adaptive cruise control with Stop & Go, and a function of the automatic movement in a traffic jam, the system holding the car in the lane, watching the objects in the blind spot mirrors and a cross-traffic when reversing able to recognize the signs and the degree of fatigue of the driver, the system features automatic braking with detection of pedestrians, cyclists and cars. Part of the equipment, of course, available as options. Interior of the new generation of the Audi A5 coupe will please the driver and passengers a fantastic class by the standards of acoustic comfort, as well as an impressive amount of luggage space is 465 liters. If you want to carry bulky items the size of the luggage compartment can be increased by folding the separate 40:20:40 back of the second row. The boot lid is equipped with electric drive and an optional contactless system available trunk opening sweep of the legs under the rear bumper. 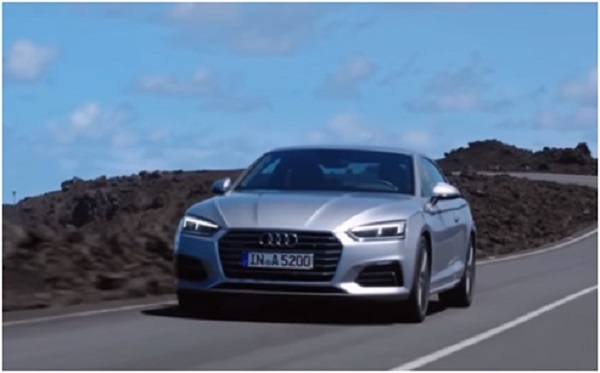 Technical characteristics of the new Audi A5 Coupe and the Audi S5 Coupe 2016-2017 year: with the start of sales of second-generation two-door coupe Audi A5 will be available with five engines (steam petrol and three diesel engine), is charged separately modification Audi S5 Coupe. For petrol engines 2.0 TFSI and 2.0 TDI diesel, and «younger» 3.0 TDI offers 6 speed manual and robotised gearbox 7 S tronic. 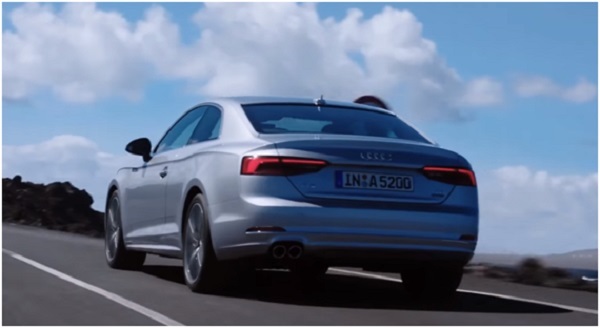 By default, front-wheel drive, but as an option the latest quattro all-wheel drive system with ultra modern technology to save fuel for gasoline and diesel versions of the models with a manual transmission. The most powerful 286-hp diesel engine is equipped with only 8 automatic and all-wheel drive. The most powerful petrol version of the two-door Audi S5 Coupe c 3.0 TFSI V6 (354 hp 500 Nm), mated to a Tiptronic automatic transmission and 8-wheel drive quattro ultra able to accelerate from 0 to 100 mph in just 4.7 seconds. On the balance of the new coupe system Audi drive select, offered in adaptive shock absorbers as optional equipment, the steering mechanism is capable to adapt to the speed of movement (as an option with variable steering gear ratio). In short, the second generation coupe Audi A5 2016-2017 model year — it is progressive in all respects appliances, sealed in an attractive and stylish shell.